Book lays flat with spiral binding. Book can be folded in half for easy use. Trails are color coded easy, moderate, and difficult rating. Detailed descriptions describing trail rating system. Area pages show how trails connect in each area. Trails are on a easy to read 2 - 4 page spread. All the legendary Moab landmarks from a more remote, less-traveled perspective. Take in the iconic scenery from a whole new view. Make sure to pack your gear, because you may want to set up camp for a multi-day adventure. The all-new third edition Guide to Moab, UT Backroads & 4-Wheel-Drive Trails adds 25 trails and two new areas. Every trail represented has been freshly driven and documented using the latest GPS technology for extreme accuracy. Over 500 color photos show scenery as well as trouble spots. Tips and advice from local experts help to get you through the trail. All trails are BLM approved and are legal routes. More Jeep Safari trails are referenced as well, including Cameo Cliffs, the Pickle, Where Eagles Dare and Rusty Nail. After spending a few days driving Area BFE, the need for a concise and accurate overview map and directions became clear and full descriptions have been added. With this latest edition as your guide, you’ll enjoy multi-day overland adventures in new areas, which include the Maze District in Canyonlands National Park and the San Rafael Swell. Planning your next adventure becomes simpler than ever with the new format which customers tell us is much easier to use. Routes are color coded easy, moderate and difficult, and symbols quickly show the kinds of vehicles allowed on each trail. A separate mileage log ties numbered locations along the route to a custom map with relief background. There are 88 detailed and distinct maps with precise GPS coordinates for each numbered location. Reverse mileages and historical highlights are also included. FunTreks also offers GPS data cards that include tracklogs matching every trail in the book. 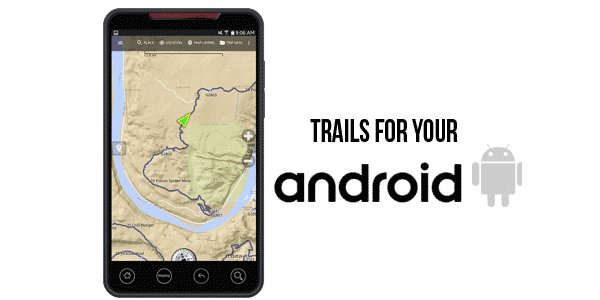 All this is supported by an active website, which includes free trail updates and GPS downloads. I am in Moab as I write this. This book is perfect. I used it while driving four different trails, did the Shafer trail with a Jeep Wrangler, Hells Revenge, Fins and Things, and Hurrah Pass with a RZR 1000. I bought this book for our trip down to Moab. It was our first time going. We took it with us even though we did have GPS that had most of the trails on it. This book really helped us out for directions and what to see. There are nice pictures in it and it gives you the trail rating on how difficult it would be to manage on your UTV or Jeep. We pulled this out many times to look at along with reading our GPS in our Polaris RZR. The combination of the two was a winner. We are going back next year and bringing the book with us. We did notice that this book was sold everywhere in Moab. I think that means you should buy it. It is a great resource and we are using it already to plan our next trip. Moab is amazing and there is so much to see and do. You need to buy this book and make a trip there. I wish there was a little more info more specific to UTVs / Side by sides. Love this guys books, very detailed and love how the trails are rated. Also gives a very good idea of what type of vehicle can do the trail. Stay the trail! We just returned from 2 weeks of Jeeping in Colorado and Moab and these guide books were perfect for pre-route planning and while on the trail to identify problem areas and points of interest. 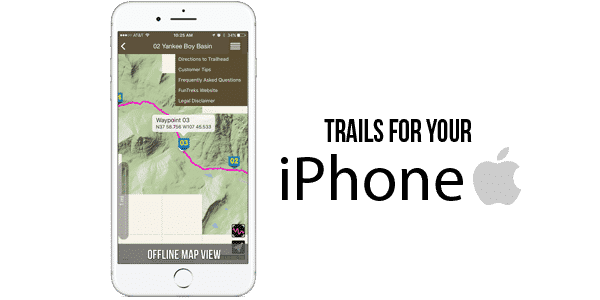 Each trail is laid out in a 2-page format (except for the very technical, longer trails) and it includes a narrative with good general info, a map of the trail with waypoints, and a detailed list of turn by turn instructions laid out my mileage. Not all trails have bail out points or go-arounds for major obstacles but they are listed when present. Good info to have if you have an emergency or bite off more than you can chew on a trail. I’m a planner and I did the research on what guides to use…this is the best by far. There are separate books from this company for ATV legal trails. Wish it had more trails in more areas. Otherwise it’s great. Awesome layout and information. We went jeeping in Moab for first time and everything they said is relevant, practical and accurate down to suggested items to bring (2nd set of car keys). Way points were on spot, description about standard vs modified SUV capabilities etc. Highly recommend! This book is a must read for someone who’s ready to explore Moab and may or may not have experience with 4x4s. We’ve covered about 18 trails to date, from moderate to difficult, and we’ve felt really confident following this guide book on some of the more remote trails. Combined with GPS, it’s a must have for those who aren’t familiar with the area and all the opportunities to get out and explore! Love these books! So accurate! Best one I have seen so far. Great guide book for the Moab / Arches / Canyonland region. Well layed out with good maps and mileage. Spiral wound binder is nice for folding pages over during an outing. Color picks of landmarks and helps cover 4X4s, UTVs, ATVs, and Motos. Not for mountain bikers but having done both in this area, bikes have different routes and other options. Would buy again and 3rd edition was good into 2016 to include many new trails. Going to put it to use next week through Canyonlands from Hite, Moab to Monticello via Hurrah Pass and the Grandaddy, Hells Revenge trail.